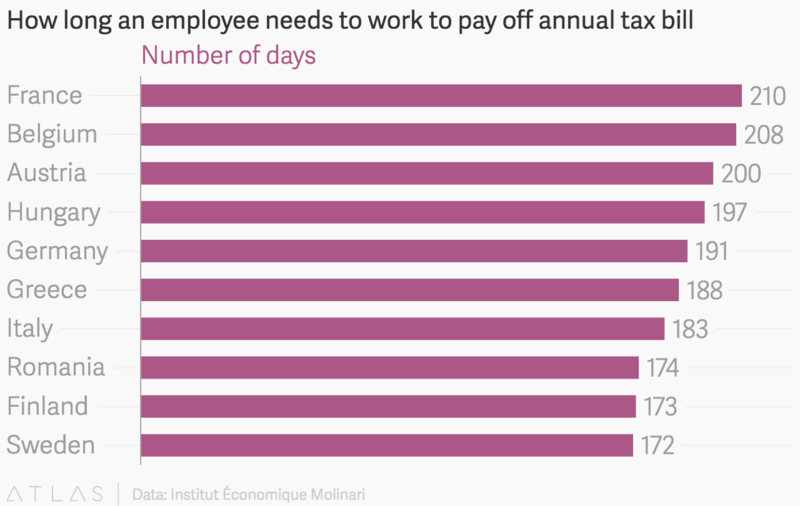 The number of days Europeans have to work to pay off their annual tax bills. – @Informal Blog for professionals Facility Management. The average French earner has to work 210 days—until July 29—before they stop paying taxes to the government and start keeping their income. 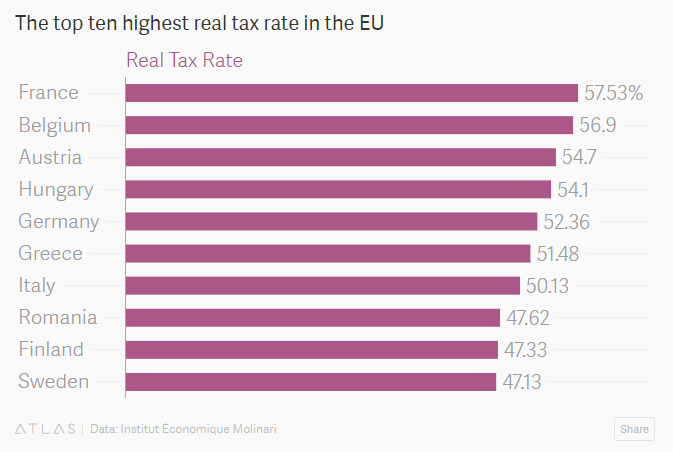 It’s known as the “tax liberation day,” which a recent study(pdf) by the Brussels-based Institut Économique Molinari uses to rank the tax burdens of individual employees earning typical salaries in the EU.